Spend more time and money on your mission by deploying the right LMS to help you achieve your goals without breaking your budget. The TOPYX® LMS has no user fees, so you can minimize training costs as you grow. There’s no need to produce or buy costly training material such as books, binders or other content, but if you do, that training can be tracked (or even integrated) within the platform as well. 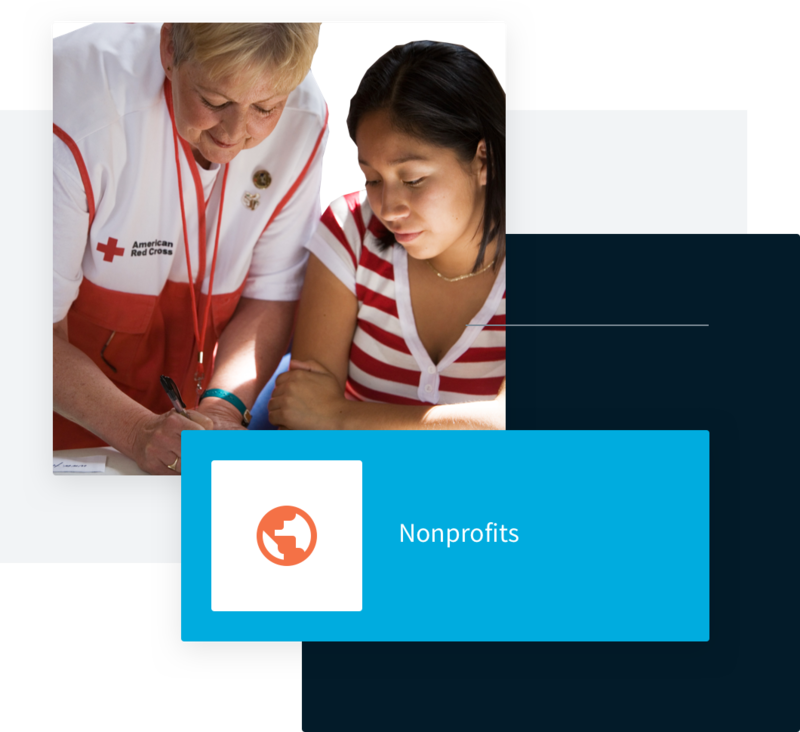 Why choose TOPYX LMS for nonprofits? It’s fully hosted. An easy-to-use social learning management system that will support your mission. User-friendly interface to keep learners engaged and help admin manage all trainings/content and learning paths. Flat fee subscription and no user fees – ideal for growing organizations, without added costs or user management headaches. Easily create logical groups to better report on chapters separately or collectively. Branded and secured sites to support your look, feel and message. ‘Skins’ can be added to provide unique branding for chapters or groups. Speak your user’s language: TOPYX can be deployed in 17 languages with a click of a drop-down menu. eCommerce options for nonprofit organizations – member and nonmember pricing options and certifications. Dedicated client support to assist you every step of the way. TOPYX can help to enable rapid acceleration of training, in a more affordable and convenient way. With the TOPYX LMS, required training materials are always available, on demand, and can be easily updated so you can ensure that learners will always be up-to-date using the latest training materials.